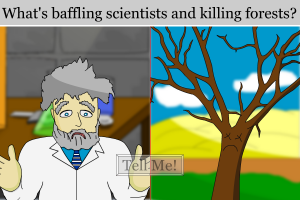 Find out what’s baffling scientists and killing forests now! 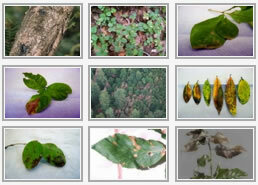 Play Sudden Oak Death puzzles, games and other Youth Activities here. Can My Tree Catch The Flu PDF – This series of interactive and engaging activities helps increase youth awareness of Sudden Oak Death. To provide an analogy to how a tree catches this disease, participants are introduced to a familiar situation – catching the flu. All activities were initially developed for a middle-school level audience but may easily be adapted to other ages and levels. Trees in Trouble PDF – Information on Oak Communities, the causes and effects of Sudden Oak Death, as well as methods of transport support these student activities. The grade-specific activities help students learn about native oaks and ways they can help stop the spread of Sudden Oak Death. Junior Ranger Guide PDF – This activity guide explains the ins and outs of Sudden Oak Death in a dynamic and engaging way, blending games, maps, and activity prompts with kid-friendly background information on the disease. SOD Fact Sheet – Information on the detection, spread, impact, and treatment for the disease. SOD Sanitation Guide – Cleaning recommendations to prevent the spread of P. ramorum. Fact vs. Fiction – Five common misconceptions about Sudden Oak Death and the pathogen that causes it. 2011 Sudden Oak Death Brochure – Information about SOD in the wild, in nurseries, and in your community. 2010 Sudden Oak Death Brochure – Information about symptoms and management of SOD. SOD Poster – An introduction to SOD, oak and other host symptoms, and what you can do to help control the spread. Trailhead Poster with CDF logo as a PDF and Word doc – SOD information and guidelines for hikers. SOD Tribal Poster – Information on SOD and tribal concerns for traditional plant gatherers. Spanish Guidelines for Forest Collectors – Precautions to prevent the spread of SOD in Spanish. Spanish Fact Sheet – Information on the potential risk areas, spread, and consequences of SOD in Spanish. Spanish Guidelines for Arborists – Guidelines for minimizing the spread of the pathogen in Spanish. Virtual Training: Phytophthora ramorum, A Short Course – Three PowerPoint presentations available for download and use. Module 3 (3,183 KB): Regulations and Management of Phytophthora ramorum These are PowerPoint presentations, so you must have the program on your computer to view the modules. Additional nursery-related training materials are available here.